An illustrated travel book narrating Collins's 1850 walking tour of Cornwall with his artist friend, Henry Brandling. Published in 1851 and dedicated to the Duke of Northumberland. In those days 'even the railway stops short at Plymouth' and the travellers have to sail to their first destination at St Germains. 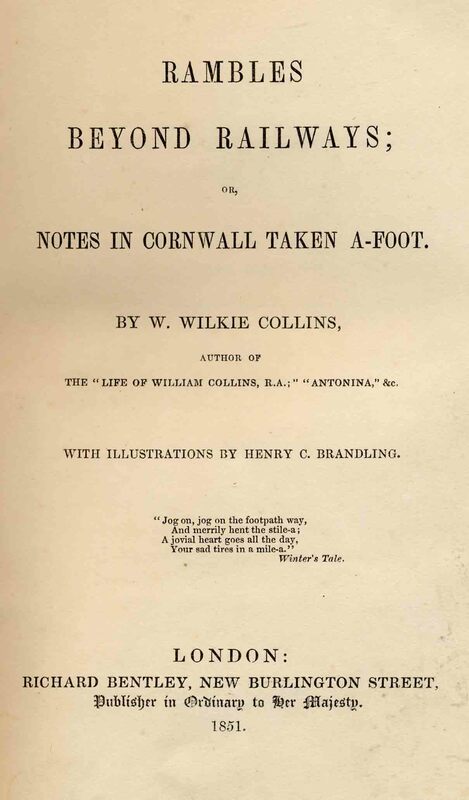 Collins found the locals hospitable, though inquisitive, and Rambles became an amiable mixture of travelogue, vivid descriptive writing, Cornish history and legend, and social observation. The route of 234 miles took them along the south coast to the Lizard and Penzance, returning through northern Cornwall to Tintagel and Launceston. An appendix gives precise details of the itinerary, the miles walked and the inns at which they stayed. Some of these, such as the Ship at Looe, still exist. 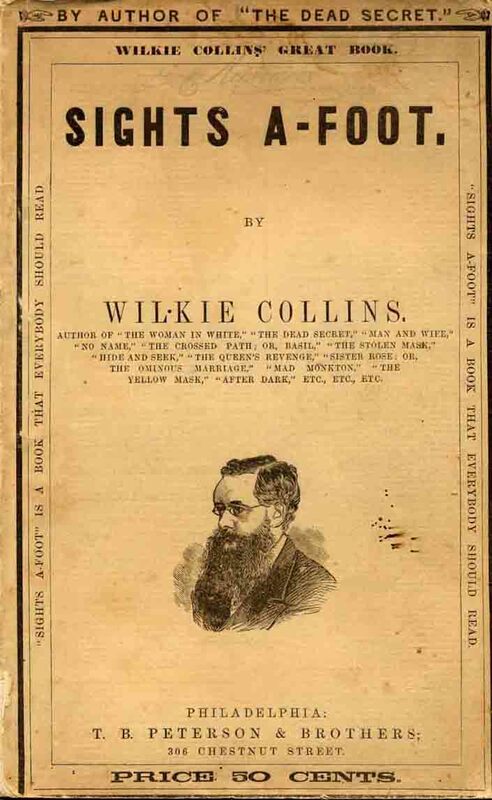 Collins also collected numerous statistics. He noted the population was 341,269 at the last census, that nearly five per cent of those in the Penzance area emigrated to Australia or New Zealand in 1849, and that St Ives exported an average of 22,000 hogsheads of pilchards, each containing up to 3,000 fish. 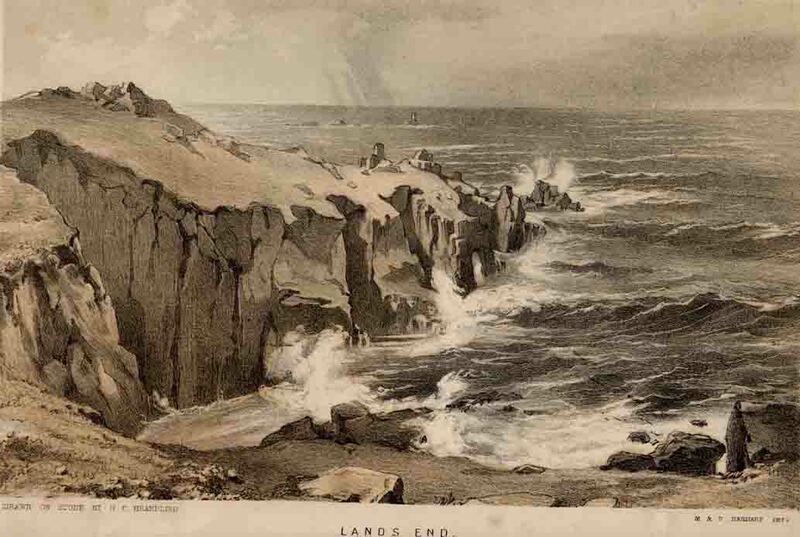 Chapters 8 and 11 were published as 'The Pilchard Fishery on the Coast of Cornwall'; 'A Visit to a Copper-Mine' in Harper's New Monthly Magazine, April 1851 and 'Down a Cornish Copper Mine' in The Green Book for Boys, (Hodder & Stoughton . 1 volume, Richard Bentley, London 1851. Beige cloth, covers blocked in blind, spine lettered in gilt, yellow end-papers printed with publishers' advertisements. No half-title. Twelve full-page tinted lithographs by Henry Brandling, printed separately. Published 30 January 1851. Published 9 January 1852. As for the first except for minor differences in blocking of covers, cream end-papers and darker illustrations. 1861 and 1863. Now dedicated to Henry C. Brandling. Omit two chapters and have only two black and white illustrations. Also contain 'The Cruise of the Tomtit'. Modern reprints 1948 and 1982. As Sights-a-Foot, Philadelphia: Peterson, .